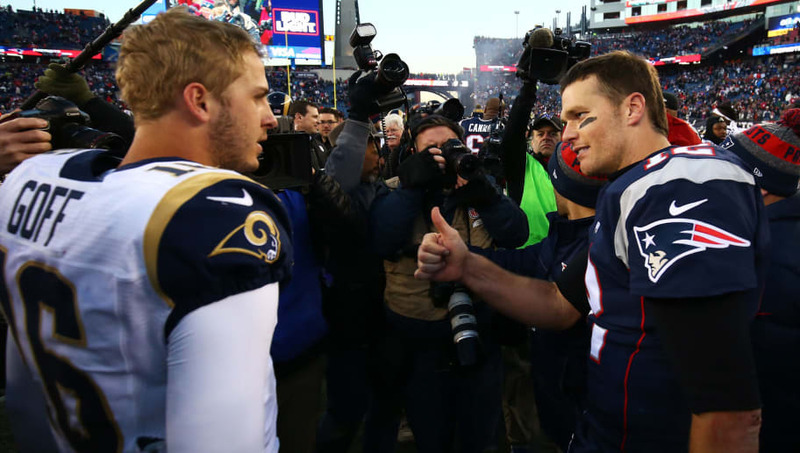 The Super Bowl LIII matchup is finally set as the Los Angeles Rams face the New England Patriots on Sunday, Feb. 3, meaning Super Bowl betting season has officially finally begun. Even if you don't bet on the Super Bowl's spread or over/under total or try to pick one of the endless amount of props, most people at least buy a square in the Super Bowl pool at their office or favorite local bar. Patriots vs. Rams in the big one. Below we have included a Super Bowl squares template and the full rules of how to play. This is probably the most well-known Super Bowl party game. You start off with an empty 10 by 10 grid. One team playing in the Super Bowl is assigned to the columns, and the other is assigned to the rows. Participants will choose a blank square at random, and you continue this process until a name has been assigned to every square. Usually, participants will need to be assigned multiple squares to ensure every square has a corresponding name. Once every square is filled, use a random number generator to assign numbers to each column and row. The columns and rows will already have a team name on them. Winners will be determined at the end of each quarter by matching up the last number in a team's score with the corresponding numbers on the grid. For example, if the first half finished: New England Patriots, 27, Los Angeles Rams, 13, the participant that has the Patriots' number at seven, and the Rams' number at three, would be the winner. Here's a link to a printable Super Bowl squares template. Click the hyperlink to the left and select 'Fit to Page' in the print settings to make it easier for you. If you want to spice things up by adding payouts, the winners of the first three quarters usually get around 20 percent of the pot for each quarter, while the winner at the end of the fourth quarter takes home the rest (40 percent). How Do Super Bowl Squares Work? Playing Super Bowl squares is like buying a lottery ticket, just with a much greater chance to win. Unfortunately, you don't win millions of dollars, but it's all fun just the same. It provides another point of interest when watching the Super Bowl. So if you want to play or set up a Super Bowl squares contest with your friends or office or whoever, then simply save and print the picture from above or click here and print out the grid.